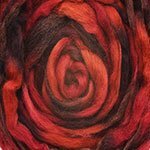 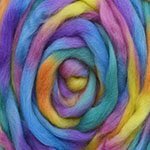 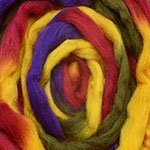 Merino accent 24 micron top hand painted is 5 grams per meter. 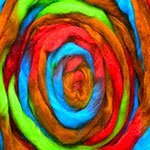 In other words, these fibres have wonderful multi-colored hues. 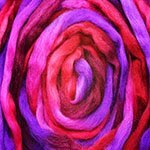 It has in a range of shades. 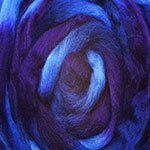 Similarly, on the market we call this kind of painted wool space dyed. 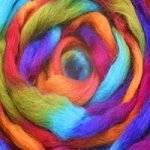 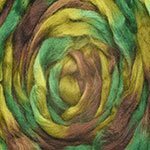 One way to make this fibre is to dip it in small jars of liquid pigments of acid dyes. 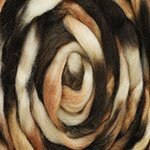 As well, the merino accent is painted by hand with a pipet or a soft brush and the dyes are applied. 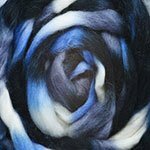 It’s perfect to add accents to felted landscape projects. 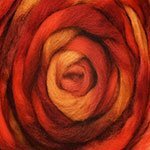 Use this type of wool in needle felting and wet felting. 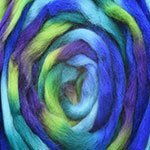 Spinners like it to blend soft fine artistic yarns. 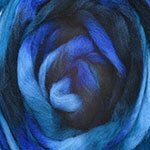 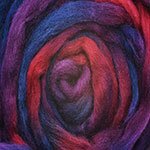 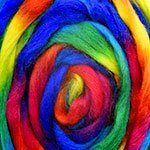 We invite you to have fun and explore the varied colours to create amazing fibre paintings with our merino accent.